ANNECY, France, June 14, 2018 /PRNewswire/ -- DreamWorks Animation and Pearl Studio today announced that Albert Tsai, Tenzing Norgay Trainor, and Tsai Chin have joined Chloe Bennett in the voice cast of the highly anticipated animated adventure Abominable, to be released by Universal Pictures on September 27, 2019. The announcement was made today at the Annecy International Animation Film Festival. As teens who help to reunite a magical Yeti with his family, Chloe Bennet will play Yi as previously announced. 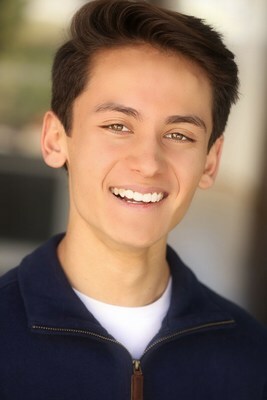 Tenzing Norgay Trainor will voice the role of Yi's teenage neighbor Jin. Albert Tsai will star as Jin's younger cousin Peng. And Tsai Chin will voice the role of Yi's irascible and loving grandmother, Nai Nai. Jill Culton (Open Season) is directing Abominable, Todd Wilderman (Home, Croods) is co-director, Suzanne Buirgy (Kung Fu Panda 2, Home) serves as producer with Tim Johnson (Over the Hedge, Home, Antz) serving as executive producer. Abominable takes audiences on an epic 3,000-mile journey from the streets of Shanghai to the breathtaking Himalayan snowscapes. When a mischievous group of friends encounter a young Yeti, they embark upon an epic quest to reunite the magical creature with his family at the highest point on Earth. Abominable is currently in production and will be released by Universal Pictures worldwide beginning September 27, 2019. In China, the film will be distributed by Pearl Studio. In making the announcement, Chris deFaria, President of DreamWorks Feature Animation Group stated, "This film is a very personal, character-driven tale, set in an epic landscape that lends itself beautifully to animation. Ultimately, this is a film about finding your way home, and the unbreakable bond that forms between these characters during a life changing adventure. It's truly a universal story that will appeal to audiences across the globe. These additional voice actors bring considerable emotion and comedy to this story. We could not be more excited about Abominable." "Through the fun and action-packed journey of Abominable, Pearl Studio and DreamWorks Animation are bringing the lives of modern Chinese teenagers to the big screen for the very first time in a major animated feature film," added Peilin Chou, Chief Creative Officer of Pearl Studio. "It is not only an emotional coming of age story, but also a whimsical and epic adventure, featuring an irresistible Yeti that we believe the whole world will fall in love with." Albert Tsai is a young American actor best known for the comedy series Dr. Ken, Trophy Wife, Fresh Off The Boat, and can next be seen in the upcoming comedy series Coop and Cami Ask the World. 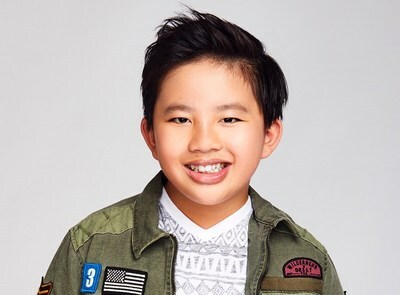 Albert earned a "Best Supporting Actor" nomination from 2014 Critics' Choice Television Awards for his outstanding performance on ABC's comedy Trophy Wife and was named one of Entertainment Weekly's 12 Best Child Actors of 2015. Tenzing Norgay Trainor is an actor who is best known for his role of Parker Rooney on Liv and Maddie. Trainor is a versatile actor and voice actor who is of American nationality and Nepali/Tibetan descent. He is the grandson of Tenzing Norgay who was the first Sherpa to reach the summit of Mount Everest with Sir Edmund Hillary on May 29, 1953. 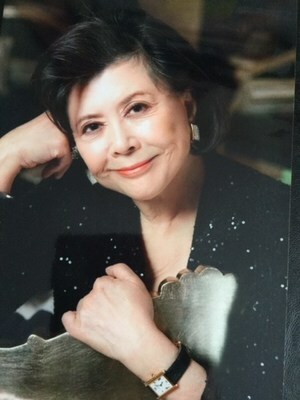 Tsai Chin (pinyin Zhou Caiqin) is an actor, director, teacher and author, best known in America for her film role as Auntie Lindo in The Joy Luck Club. She has twice appeared in James Bond films, first as a Bond Girl in You Only Live Twice and later in Casino Royale. In addition to film, she has starred in many stage productions on both sides of the Atlantic, from Broadway to London's West End. DreamWorks Feature Animation (DWA) is a division of the Universal Filmed Entertainment Group (UFEG). Its 24-year feature-film heritage includes many beloved characters and animated franchises, including Shrek, Madagascar, Kung Fu Panda, How to Train Your Dragon, Trolls and The Boss Baby. DWA's 35 feature film releases have generated more than $14.5 billion at the global box office, garnered numerous awards, and fueled a robust consumer products business. The studio's next feature release How to Train Your Dragon: The Hidden World arrives in theaters in spring 2019, with fall 2019 bringing the release of the original animated feature Abominable. Two inaugural short films, Bird Karma and Bilby, from DreamWorks' recently launched Shorts Program, are currently debuting in festivals around the world. Pearl Studio is one of the world's leading creators of animated entertainment for the global family market and is currently in production on Abominable, directed by Jill Culton to be released worldwide through Universal Pictures in 2019. The studio is also currently producing Over The Moon, an animated musical feature film event directed by legendary animator and Academy Award winning filmmaker Glen Keane. The film will be distributed theatrically in Greater China and by Netflix worldwide. Headquartered in Shanghai with branches in New York and Los Angeles, the studio is backed by a CMC Capital Partners-led consortium. Pearl Studio is focused on Animation Film Production, Copyright Operations, Ancillary Businesses (Merchandising, Joint Promotion, Interactive Entertainment and Location Based Entertainment) and Digital Content. The company was previously operated as a Joint Venture known as Oriental DreamWorks, which co-produced the first American-Chinese animated co-production Kung Fu Panda 3, which generated more than $500M in Worldwide Box Office revenues and was one of the most successful animated films ever released in China.